Researchers in this trial are testing a combination of two immunotherapy drugs: MEDI4736 and tremelimumab. Patients will receive one drug or both, plus surgery. Keytruda (pembrolizumab) is an immunotherapy treatment being tested for mesothelioma. Patients in this trial receive Keytruda, surgery, and chemotherapy. This trial tests a multimodal therapy including: pleurectomy with decortication (P/D) surgery, standard chemotherapy, and intensity modulated radiation therapy (IMRT). 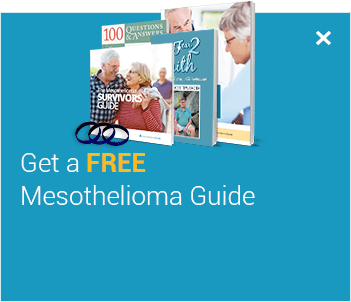 Clinical trials are often the best treatment option for patients with mesothelioma. Learn which trial is right for you. We value your privacy and will never sell or rent your personal information to any third-party. An artist from Rhode Island, Kendra Ferreira has enjoyed a great life with 3 children and a loving husband. She taught art classes and exhibited her artwork. In 2001, Kendra was diagnosed with mesothelioma after noticing her stomach swelling without any weight gain. She was originally diagnosed with ovarian cancer and had a hysterectomy. It was then that her doctor realized that the cancer had originated as peritoneal mesothelioma, which spread to the ovaries. After finding mesothelioma specialists, she took part in a clinical trial surgery, followed by chemotherapy. She was sensitive to many of the chemotherapy blends, but her specialists were able to tailor them to her specific needs. This resulted in her recovery and current health 10 years later.